I ordered a home theatre projector for my basement. It was expensive and required a signature supposedly in person. Understandable. So the day before it's due to be delivered I get an automated phone call that my package will be delivered between 8AM and 7PM EST. That's a huge window! Even the cable company isn't that bad. But, whatever. So I worked from home that day in anticipation of my arriving package. I was sitting on my chair in the living room, about 20ft from the front door pretty much all day except when I made lunch and went to the bathroom (all of which are within spitting distance of the front door). 3PM, my phone vibrates because I got another email just as it normally does. It's UPS notifying me that no one was home to sign. WTF?!?! No doorbell ring, no knock, nothing! I open the front door and sure enough there a letter attached to it saying that no one was there to sign. UPS doesn't deliver on Saturday, but my FedEx package arrives at 10:30AM and I sign for it. 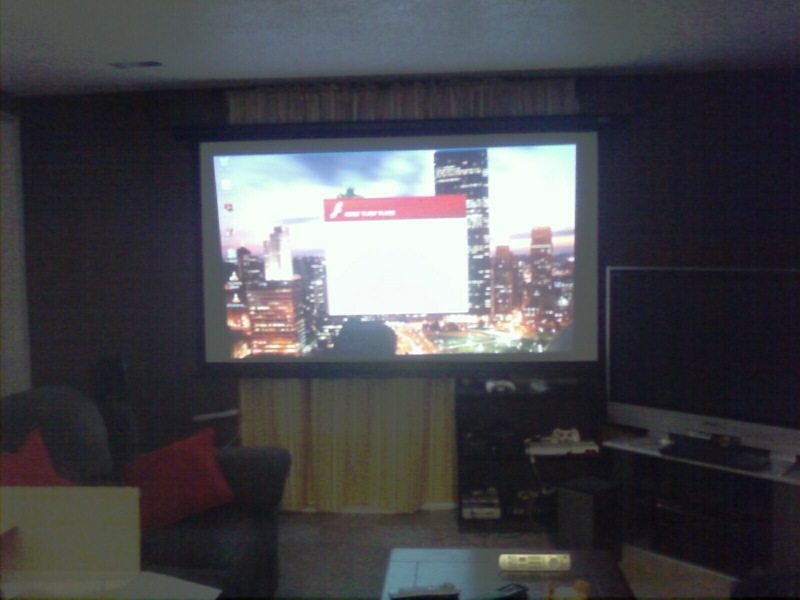 I now have a projector screen. Thank you FedEx for delivering on a Saturday, for someone who works full time this is rather convenient. Nobody delivers on Sunday, this is expected. "Oh we're sorry, would you like to file a complaint?" "Ok, now would you like us to attempt delivery once more tomorrow or have you pick it up at our service center?" "I can pick it up at the service center? Why wasn't that just an option on the slip?" "Ok, it's at ... ... it will be there at 7:15 today." 7PM I leave the house to go get my package and I arrive at almost exactly 7:15PM. Walk up to the counter, show my slip and ID. The person looks in the computer and says, "Hmm. It hasn't been updated in the system since 2:45PM but it's definitely not here yet. You can wait if you want." So I wait until 7:55, 5 minutes before closing, and I reapproach the counter. "Oh, you're still here?" was not the reaction I was looking for, but it's what I got. "Let me check. *long pause* Still not updated in the system. Well we'll hold it here for 5 days." Thanks a lot UPS. I honestly have nothing better to do that to sit at home on a Friday while you blow me off or waste an hour and a half driving to your store, waiting around, then finding out that you have no clue where the package is. I suspect I'm about to go a few rounds with them myself. A package for work was supposedly delivered, but it was not. For future information the option to pick it up yourself is on the back of the slip, though it requires you to either call or visit ups.com to request pick up. Oh, I did call and I went to pick it up when they said I could, but they lied. I called them today. Apparently, you can arrange a time and date for a fourth attempt. Hopefully that will work out.